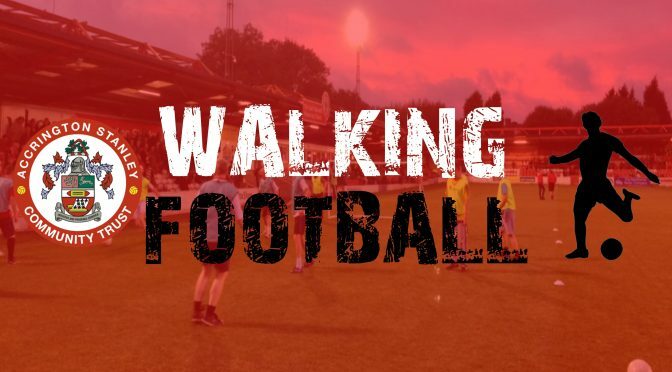 Accrington Stanley Community Trust launched ‘Walking Football’ in January 2015. This is a low intensity practical activity delivered by the trust and will be available to all adults who are over the age of 50! Walking football is a brilliant way to exercise, create new friends and even re-live those childhood memories. Walking football is quickly becoming the sport to play! It increases cardiovascular fitness levels and helps control weight gain, not to mention gets a group of guys or women together to do something different! The sessions are available to anybody over the age of 50 and do not require a booking, so dig those old trainers out and slip into that Stanley shirt!